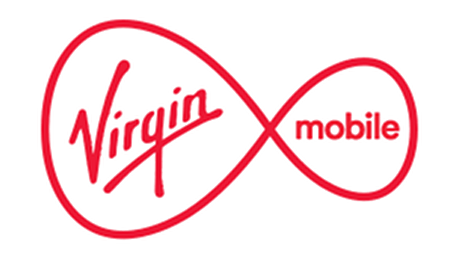 Virgin Mobile review: is this the UK's best low-cost 4G network in 2019? 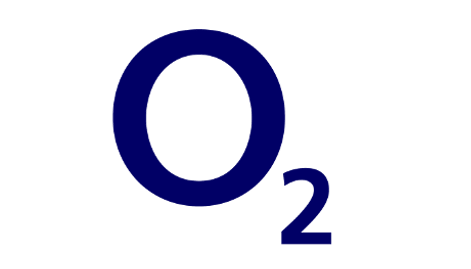 Are Virgin Mobile UK just about cheap SIM only plans and handset contracts? We investigate their 4G network coverage, speeds and benefits too. SIM Sherpa is your trusty guide. Last updated: January 7th 2019. 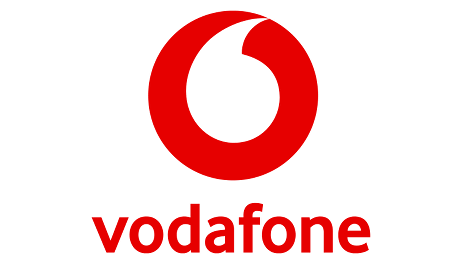 "There's no doubting Virgin Mobile offer extremely competitive prices on the EE network that reaches more places and delivers faster 4G than anyone else. 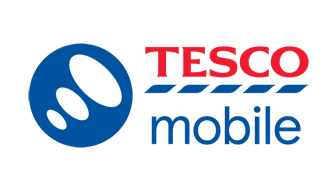 But we're a bit concerned about worrying customer service complaints data and some of their benefits are being overtaken by other providers." Our guide below finds the things Virgin aren't great at but plenty of other positives to balance them out. Virgin Mobile are part of the wider Virgin Media brand. They're the only major provider that use the EE network to not be owned by BT (even EE themselves are owned by BT). 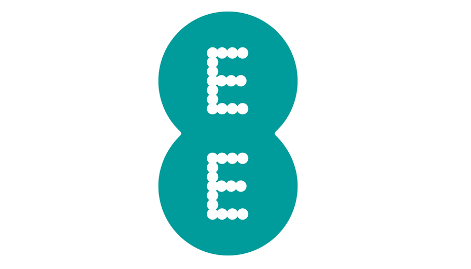 Using the EE network is a huge advantage for Virgin Mobile customers, because it's the UK's largest for 4G and joint largest for 3G and 2G. Virgin Mobile's 4G signal is available to 99% of the UK population, while 98% can get their 3G. 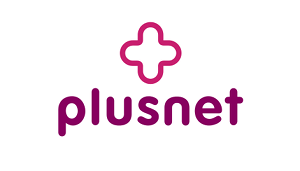 That's a better combination than any other network (although the same as EE, BT Mobile and Plusnet). Despite the impressive stats, no network has universal geographic coverage, so we highly recommend checking Virgin's signal everywhere you use your phone (not just at home but on your commute, at work etc). 4G speeds: Virgin Mobile customers could go faster than EE! 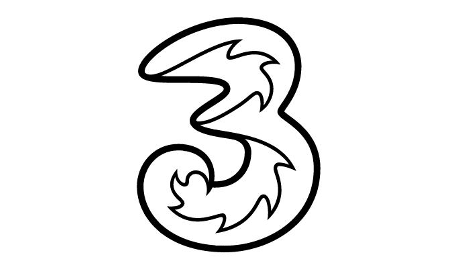 We expect EE customers to get typical download speeds over 4G of around 31 Mbps, which is faster than any other provider. The key question is how that translates for Virgin Mobile customers. 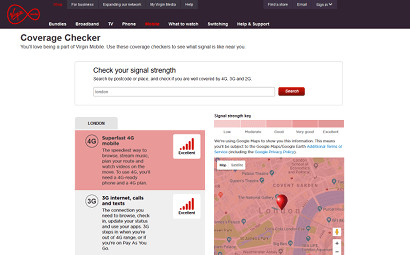 This page on the Virgin Media website explains Virgin’s 4G speeds deliver a maximum 70 Mbps. That's home fibre broadband fast. And it's actually faster than the majority of EE plans with a 60 Mbps cap. 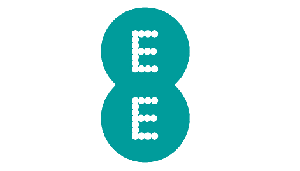 On average, we'd expect little noticeable difference to joining the fastest network EE directly, unless you chose one of EE's 90 Mbps Max plans and use your phone regularly in a 4G+ area. 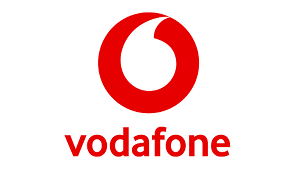 This is another area where it’s a big advantage to Virgin Mobile customers that they use EE. They’ve just scored well in tests on how fast calls connect and the quality of the audio. 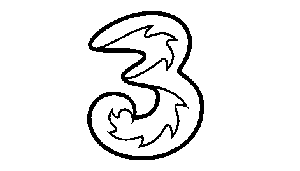 Independent network testers P3 Analytics do an annual report into how each of the UK’s 4 main networks (EE, Three, O2 and Vodafone) perform for call quality. Note they don’t measure virtual operators like Virgin. In their most recent 2018/19 report, Virgin’s host network EE came top of the scores for call quality, receiving a ‘very good’ rating, having made large improvements on the year before. There is a difference though that could be crucial here. Virgin Mobile don’t yet support 4G calling (which offers better sound quality), so we wouldn’t expect Virgin to score quite so highly if they were measured directly. This is one area where Virgin Mobile are at a disadvantage to two of the networks that use EE’s network: BT Mobile and EE themselves. Both offer WiFi calling on pay monthly plans but Virgin Mobile do not. Some of Virgin’s competitors such as Three and iD Mobile also offer it now. In fact, we actually rate Three’s InTouch WiFi calling scheme as the best in the UK. 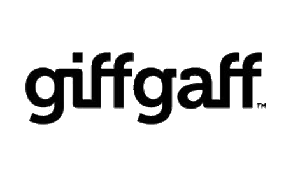 If you’re unfamiliar with WiFi calling, read our guide here. 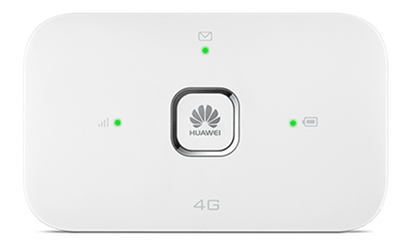 It’s basically a system that beats indoor mobile signal black spots by letting you make calls over a WiFi signal instead of 2G/3G/4G mobile signal. 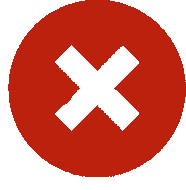 If you’ve been with a provider who uses EE before and have found their signal gets indoors fine in the places you use your phone, then Virgin not offering WiFi calling shouldn’t be a problem. Nowadays, free WiFi is really easy to access in loads of businesses and transport hubs. But quite often it’s still limited by time or needs you to register and log in. That’s why we think it’s good when mobile networks offer a universal free WiFi service to their customers that logs them in automatically. Using WiFi instead of your mobile data saves using up your monthly allowance. This is one Virgin Mobile’s real strong points. 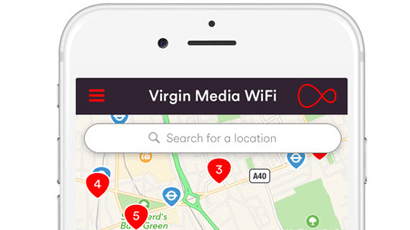 All their mobile customers (pay monthly or pay as you go) get access to Virgin's network of 3.5 million+ (!) free WiFi hotspots in the UK. 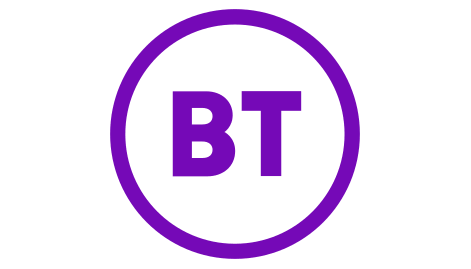 Just download the free app, log in once and then every time you're in range, your phone will connect to the hotspot, saving you on your mobile data allowance. Until recently, you weren't allowed to use their pay monthly phones or SIMs for tethering (making a WiFi hotspot with your phone using mobile data). 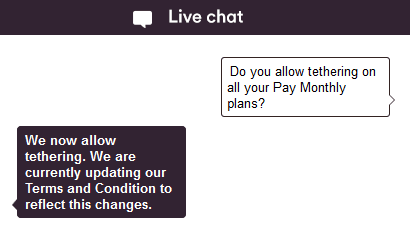 We're pleased to say Virgin have now seen sense here and have started allowing tethering for all their pay monthly customers (see screenshot of our chat conversation). So now you're free to use your superfast 4G data connection on Virgin to connect other WiFi-enabled devices like laptops, tablets or even other phones to your phone for internet when you're away from tradititional WiFi. We all use different amounts of data each month. Sometimes we’ll get through our whole monthly allowance. Sometimes we might not get anywhere near it. Isn’t it a waste of money if you’ve paid for data you’ve not used? Quite a few networks now have started to address this problem by launching plans that either let you keep unused data for future months, or even pay you back for the cost of data you’ve not used (see SMARTY). 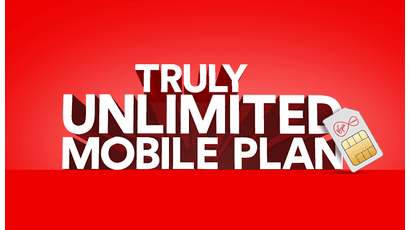 Virgin Mobile are one of the few networks that offer data rollover. On their pay monthly smartphone contracts and SIM only plans, you’ll keep any of your regular data allowance you’ve not used to use next month. We really rate this as a feature because it’s basically another chance to use up data you’ve paid for. It'd be better if you could keep data longer than a month though (Sky Mobile let you keep it the longest, up to 3 years). 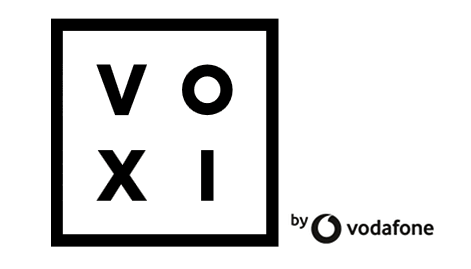 In our guide to free data schemes, we notice two ways that mobile networks are giving people free data for certain activities: either for video/music streaming (Three and EE) or social media (Virgin, VOXI and Three). 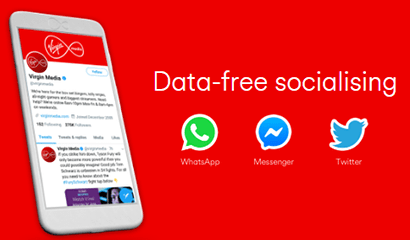 Join Virgin Mobile on either a pay monthly SIM only plan or phone contract and whenever you use WhatsApp or Facebook Messenger to send messages or Twitter they won’t charge you for the data it uses. 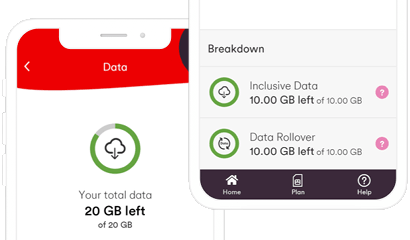 The full ins and outs can be read here on the Virgin Mobile website but there a very few restrictions: you will be charged for the data if you’re abroad and you’ll need some of regular data allowance left for it to work. 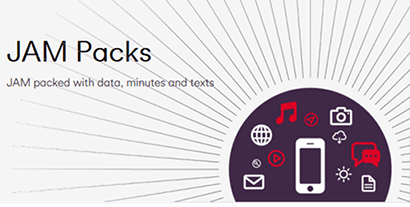 As free data schemes go, Virgin’s is on the less-valuable side: messaging doesn't use as much as video/audio streaming like on Three's Go Binge. But if you’re a heavy messaging user, Virgin’s scheme will be useful. 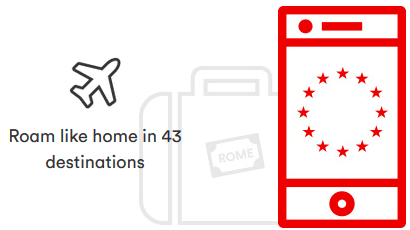 Now that every mobile network has to let you roam abroad in EU countries at no extra cost, we’re looking for any providers that go above and beyond these requirements and let you go further afield too. Virgin Mobile aren’t one of them. You’ll get free EU roaming in these 43 destinations with any of their pay monthly SIM only plans or mobile phone contracts but you can't use your whole data allowance while abroad (calculate how much you can use here). It varies per plan. 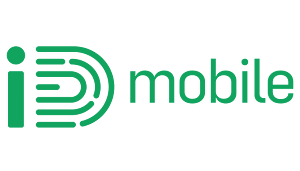 If you like the idea of free roaming anywhere elsewhere, read our guide to the best worldwide roaming mobile network here. It’s Three we still rate best with 71 destinations where you can roam for free. Overall, we can't give Virgin Mobile a good rating for roaming because of the finickity fair usage policy on EU roaming and shockingly expensive world roaming. It's just not their strength. If you have broadband or TV through Virgin Media, there’s an exclusive unlimited data plan on phone contracts (see here) and SIM only (see it here) that only you can access. 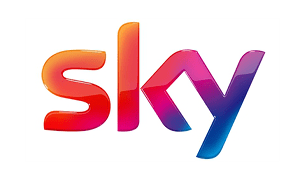 Otherwise, the benefits for TV or broadband customers are limited to getting unlimited calls to Virgin Mobile numbers. 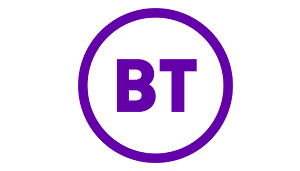 There are no discounts like we see on BT Mobile or Sky Mobile for their home customers. Another nice scheme, is Virgin Mobile’s refer-a-friend scheme, which offers some sizeable cash rewards (up to £100) if you get one of your friends to join the network. 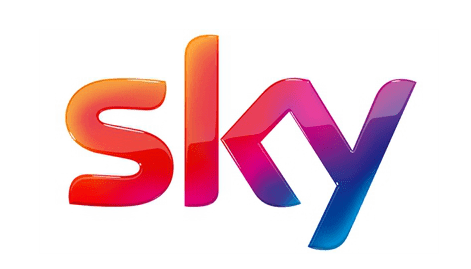 EE offer a 6-month subscription to Apple Music to all their pay monthly customers, Vodafone offer a choice of Spotify, a NOW TV pass or Sky Sports Mobile TV on certain plans, so what have Virgin Mobile got to offer? 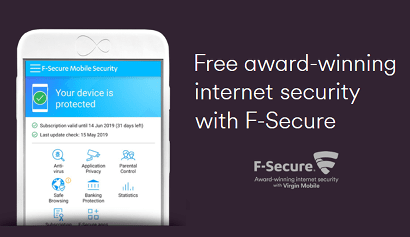 Well it’s not quite as glamorous but every pay monthly SIM only or phone contract customer on Virgin is entitled to claim a 12-month subscription to F-Secure Safe internet security software, to use on up to 5 devices at once. It’s an app you download to your phone that protects you from viruses, hackers, internet content unsuitable for children and can help locate your phone if stolen. You can trial it and delete it if you don’t like it. Credit to Virgin here, because this isn’t one of those offers that lures you to sign up free so they can charge you for later. You can get the software free without giving any bank details. You’ll only renew if you actively choose to. Running up extra bills for additional usage like going over your data limits or phoning internationally can be a worry for some, especially if you’re taking out a contract for someone else like one of your children. 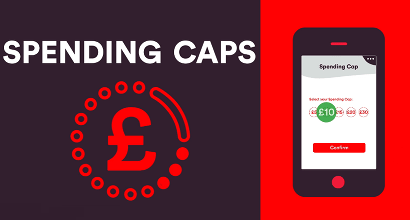 In fact the government regulator Ofcom has just made it compulsory for mobile networks to offer customers the chance to set a cap on how much extra they can spend if it's something they want to do. Virgin were offering this before the deadline came in. Their page here explains all the ins and outs of the scheme but we rate it as one of the most flexible, because you can set your cap at absolutely zero or in intervals up to £100, or choose not to have any cap. 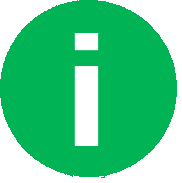 But because every network now offer them, spending caps needn't be the deciding factor between Virgin Mobile and any other provider any more. 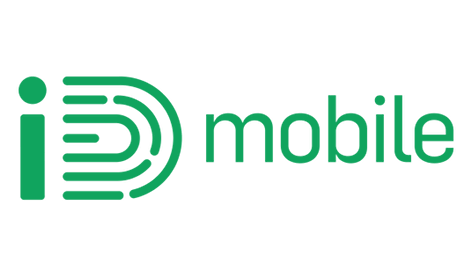 Mobile networks are starting to pick up on the fact that a lot of people now take out multiple contracts for their whole family, so are beginning to offer discounts and extra perks for families and groups. We’ve written a whole guide to shared mobile plans here. There’s essentially two types of scheme available: one gives you discounts on extra deals, the other lets you share data between family members. 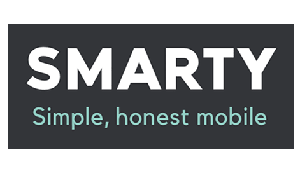 If you’re smart, you could use their refer-a-friend scheme here to at least get some cashback for any extra mobile contracts that you take out with Virgin. Here are the latest promotions on SIM only or phone contracts. 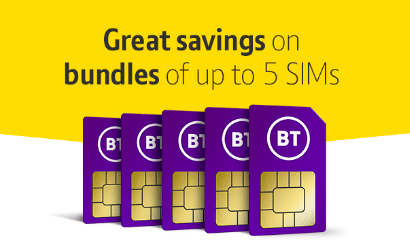 If you're after more data with your SIM, they have three ultra competitive 12-month deals too. Choose from: 10GB for £16 £10 a month, 50GB for £25 £20 a month or a whopping 40GB 200GB for £23 £22 a month. Meanwhile, if you're after a smartphone, there's £3 a month off the 10GB tariff on every phone in Virgin's pay monthly range here with loads of models where Virgin are claiming the UK's lowest monthly price. You’re allowed to move both up and down plans on Virgin. So if you need more minutes and data, you can switch to a more expensive plan that gives you more. But if you find you’ve always got minutes or data spare at the end of the month, you can move down to a cheaper plan, to pay less each month. You can do this once a month, as many times as you like. 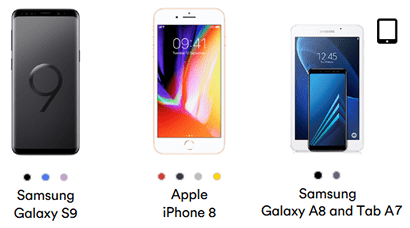 You’ll find a broad range of well-priced smartphones in Virgin Mobile’s pay monthly range, from the latest iPhone and Samsung models, to mid-range Androids, down to cheap basic handsets. We think it’s fair to say Virgin have the UK’s most flexible smartphone deals (as long as you’re taking a Freestyle deal, rather than a ‘Classic’ contract). You can upgrade early or quit Virgin Mobile altogether by paying off just the phone part of your overall deal. And you can change your monthly mins, texts and data plan up or down according to your needs. The closest level of flexibility is with O2’s Refresh, which is less flexible in terms of changing your data plan, and we’d say is usually a fair amount more expensive than Virgin Mobile’s monthly prices. Many of Virgin’s lowest monthly price deals are based on 36-month deals. So even though the monthly rate is lower, remember you’ll be paying that rate for an extra year, compared to 24-month deals. So the total cost could be more. Also, because most of Virgin’s smartphones are on their “Freestyle contracts”, you’re basically taking a loan out to pay for the cost of the device. For this reason, you’ll need a very good credit rating to get accepted for a deal. Lastly, we’d advise against about getting too excited about the promise of early upgrades. Virgin have a scheme where you trade in your phone with them to upgrade early by paying off your loan. We find this sort of scheme poor value. You’re effectively surrendering a phone you’ve been paying full price for, at a price that might not be as good as selling it second-hand yourself, just to take another full-price phone contract. If you want to upgrade early and can afford it, we’d recommend just paying off the rest of your handset loan with your own money, and selling the phone yourself or keeping it for someone else. You’ll keep more value that way. 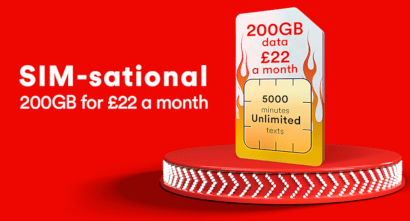 You get it with either a phone (see range here) or just a SIM, with a choice to buy either a monthly bundle of minutes, texts and data (a JAM pack) or just pay per minute, text and MB data on Virgin's Starter tariff. The JAM packs are reasonably priced and offer up to 10GB data. 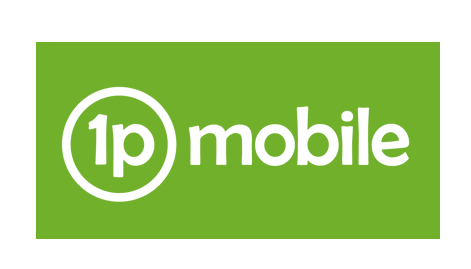 The Starter tariff is very uncompetitive and expensive compared to competitors like 1pMobile's 1p per minute, text or MB data tariff or Three's 3p 2p 1p plan. It's also worth noting you won't get 4G on Virgin Mobile pay as you go. 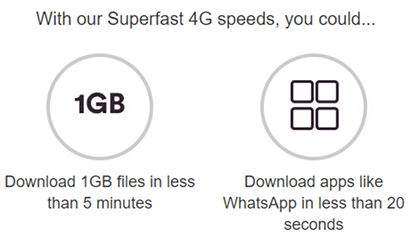 You'll only get the slower 3G speeds. 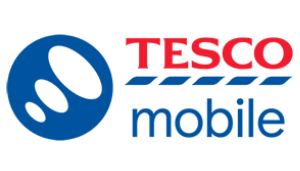 Overall, to be frank, there are better PAYG options elsewhere. Virgin Mobile's mobile broadband plans here are pretty cheap on a monthly basis and we'd describe the pocket WiFi device included as standard quality. 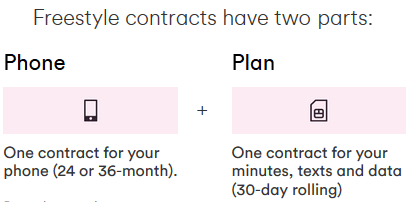 You can choose between a 30-day rolling plan (you'll pay an upfront charge for the device) or a 12-month deal with the same monthly cost but no upfront fee for the device itself. Overall, it's hard to get excited about Virgin Mobile's mobile broadband but it's reasonably priced and does get you access to a large and fast 4G network from EE. Firstly, people mainly go there if they've had a problem. You don't take the time to write a review if everything was fine. So companies look unrealistically bad on consumer review websites. That is, of course, unless the company pays the consumer review website to manage the reviews on them: respond and resolve issues that people have raised and therefore increase their ratings. This too is a problem, because it just means companies that pay have better ratings and ones that don't have worse rankings, so there's no accurate way to compare. 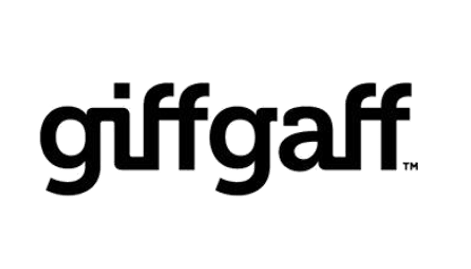 Instead we look at Ofcom complaints data (how many people have had to go to the government regulator because the mobile network didn't resolve their issue). Virgin Mobile have a tarrible score here. 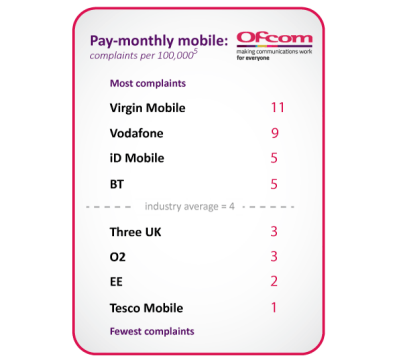 Ofcom's latest numbers show that they receive the more complaints about Virgin than all other major mobile providers. This is a sign that Virgin Mobile's customer service are underperforming at resolving issues that come up. Their worsening score has lost them half a star in our overall review rating.